The App.Metrics.Reporting.TextFile nuget package writes metrics to a text file. The default output is plain text using App.Metrics.Formatters.Ascii which can be substituted with any other App Metrics Formatter. 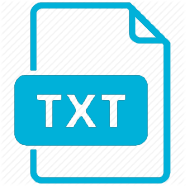 Configuration options are provided as a setup action used with ToTextFile(). MetricsOutputFormatter The formatter used when writing metrics to disk. AppendMetricsToTextFile If true appends metrics to the output file, if false overrides the file context with the current metrics snapshot on each run. FlushInterval The delay between flushing metrics to disk. OutputPathAndFileName The absolute path and file name where metrics are written.